The Galaxy S9 has a similar design to the Galaxy S8 & S8+ from last year, with a metal and glass design. 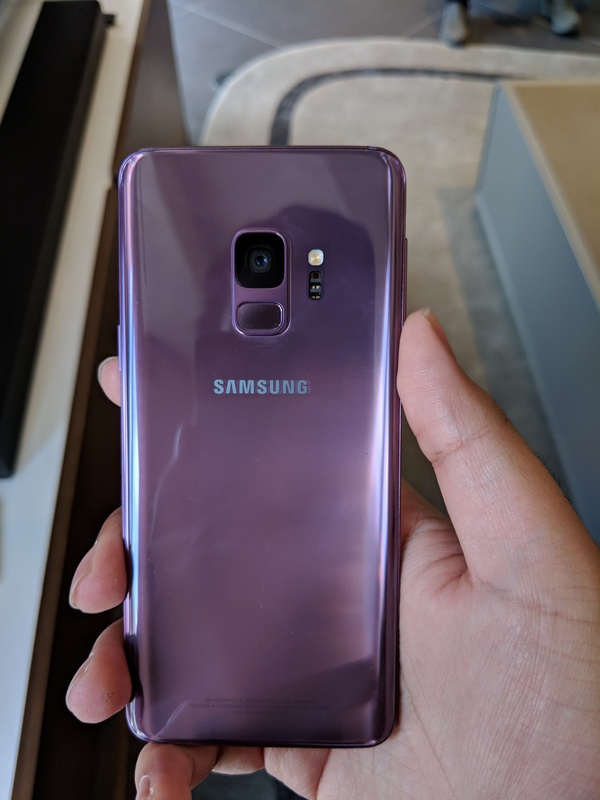 The fingerprint sensor on the Galaxy S9 is still on the back of the device but Samsung has moved it over to a more central location and not as awkward to use. The Galaxy S9 is powered by the Qualcomm Snapdragon 845 processor with 4GB of RAM and a 5.8-inch Quad HD+ curved Super AMOLED display. The bigger Galaxy S9+ has a 6.2-inch display, 6GB of RAM. The dedicated Bixby button the side of the device is back again, but Bixby is said to be improved since it first launched last year. 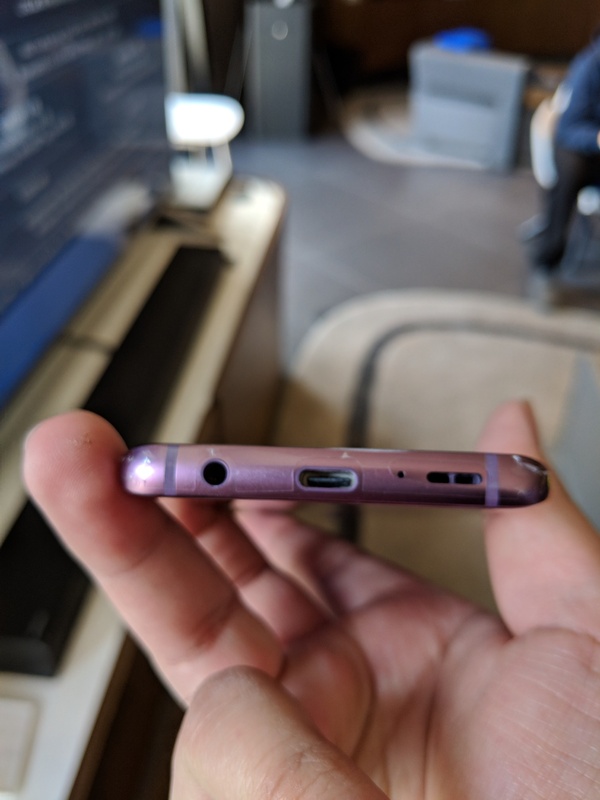 The device still retains the 3.5mm headphone jack, USB Type-C port, IP68 water and dust resistant. The battery in the Galaxy S9 is 3,000 mAh battery which is compatible with Qualcomm Quick Charge 2.0 as well as Fast Wireless Charging. The Galaxy S9+ has a 3,500 mAh battery. Both phones come with 64GB of internal storage and a microSD card slot which supports cards up to 400GB. The standard Galaxy S9 has a 12-megapixel Super Speed Dual Pixel sensor and an 8-megapixel front-facing camera. 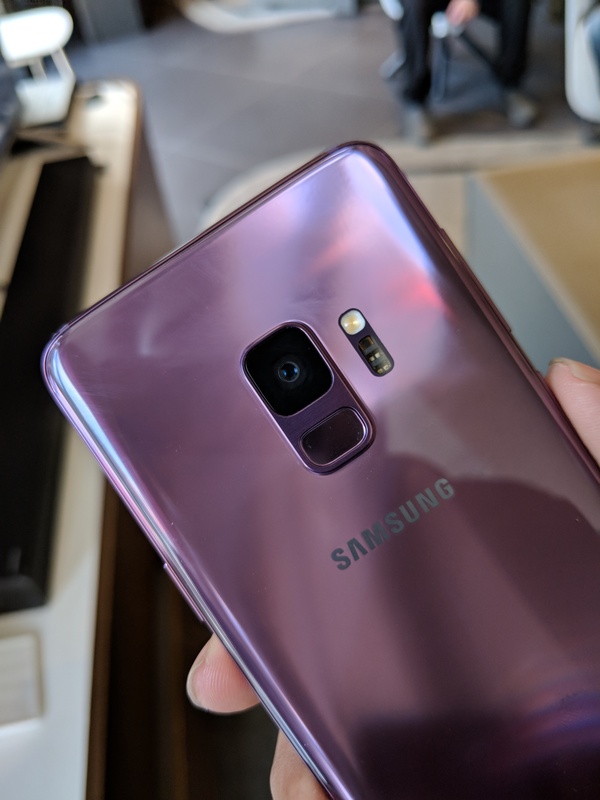 The Galaxy S9+ meanwhile has a dual-camera setup with one 12-megapixel wide-angle lens and a 12-megapixel telephoto lens. Samsung has added the ability to take super slow-mo video on the Galaxy S9 & S9+, which records video at 960fps in 6-second increments. 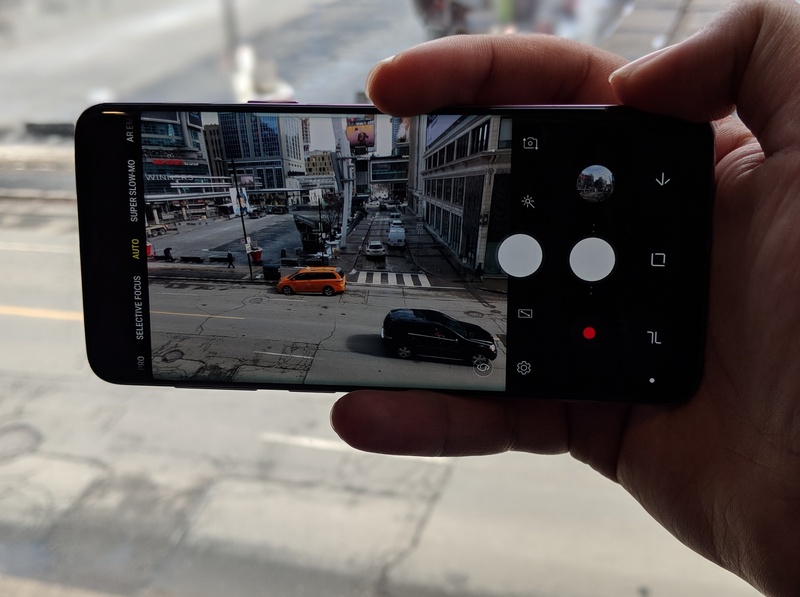 In my brief hands-on time with the Galaxy S9, the super-slow video did work well and you have the option of either recording in auto, where the phone will automatically decide when to slow-mo or you can use the manual mode to select what you what to be in slow-mo. Another thing is the addition of AR Emoji, they’re like Samsung’s answer to Apple’s Animoji, but they’re much more freaky looking since AR Emoji takes a scan of your face and creates a 3D avatar of you. Once your face is scanned in, you can customize your AR Emoji, to a certain degree and after that, you’ll be given around 10-15 animated gifs with your avatar in various expressions. 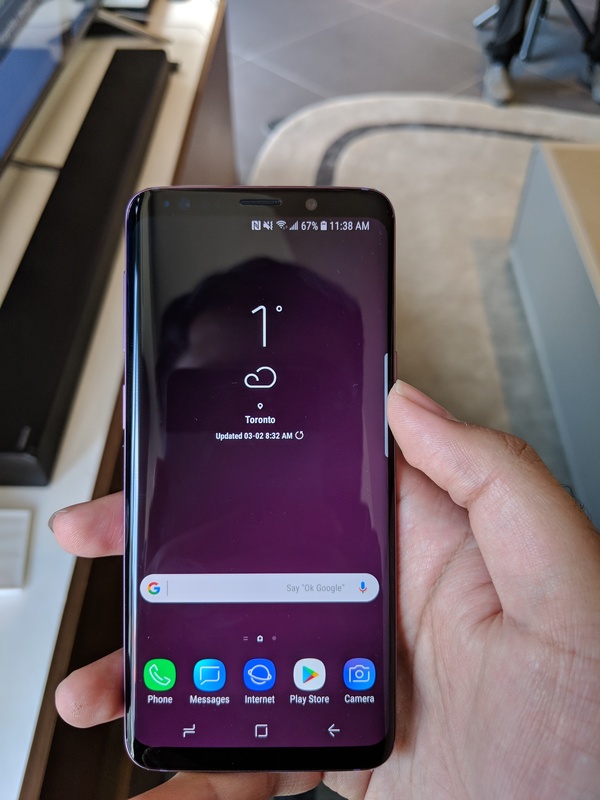 Overall, the Galaxy S9 feels like previous Samsung phones and is more of a refinement rather than a big overhaul. But I guess, if it ain’t broke, don’t fix it (unless it’s fixing the placement of the fingerprint sensor). The Galaxy S9 & S9+ are up for pre-order in Canada for $960 CAD for the standard Galaxy S9 and $1,100 CAD for the Galaxy S9+. The phones both come in two colours, Lilac Purple and Titanium Grey. Both the phones have a black front and coloured back, so then when you’re using the device with a Gear VR headset, it’s more immersive. 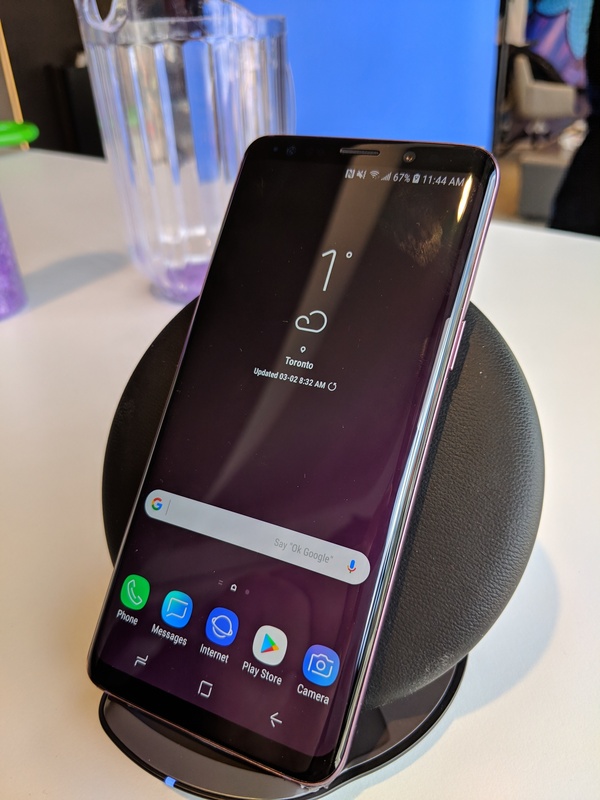 The devices will be available from Bell, Eastlink, Freedom Mobile, MTS, Rogers, SaskTel, Telus, Videotron and Samsung Experience Stores starting March 16th.